The United Nations Statistics Division (UNSD) is organizing the second meeting of the Expert Group on Innovative and Effective ways to collect Time-Use Statistics (TUS), in line with ICATUS 2016 and other international standards, to be held in New York on 20-22 May 2019. The meeting will be convened to continue the process of developing methodological guidelines on how to operationalize ICATUS 2016 and produce time-use statistics using the latest technologies, as requested by the United Nations Statistical Commission at its forty-eighth session in 2017 in its decision 48/109. 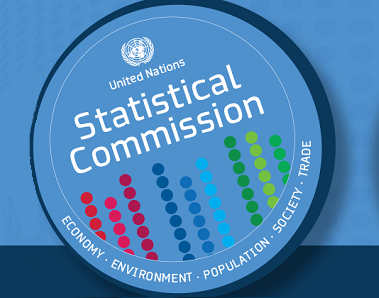 The United Nations Statistical Commission during its 48th session, 7-10 March 2017, in its decision 48/109 endorsed the International Classification of Activities for Time -Use Statistics (ICATUS 2016) for use as an international statistical classification and supported the proposal to develop methodological guidelines on how to operationalize ICATUS 2016 and produce time-use statistics using the latest technologies. It also urged countries to give high priority to time-use statistics, given their increased demand and their critical role in the review and monitoring of the Sustainable Development Goals. It finally recognized the need to provide technical assistance to countries, particularly in developing regions. Reliable time use statistics have been critical for (a) the measurement and analysis of quality of life or general well-being; (b) a more comprehensive measurement of all forms of work, including unpaid work and non-market production and the development of household production accounts; and for (c) producing data to inform and monitor gender policies. Time-use statistics can further supplement information to other statistical areas, such as: education (learning patterns), health (physical activity patterns, feeding patters, sleep patterns, etc. ), culture (involvement), environment (access to water, sanitation and clean energy), social behaviors, involvement in civic activities, use of ICT, etc. It is in this context that the United Nations Statistics Division (UNSD) organized an Expert Group Meeting on Innovative and Effective ways to collect Time-Use Statistics (TUS), in line with ICATUS 2016 and other international standards and in support of SDGs monitoring on 20-22 June 2018 in New York (under the component on Gender Statistics and Indicators – Component 4 – of the DA10 Statistics and Data Project supporting the “EA5 Enhanced capacity of target countries to adopt and apply statistical methods to assess gender gaps in selected key areas of women’s empowerment, classified as Tier II indicators in the SDG framework” – Activity A.5.1), to take stock of countries’ best practices in producing time use data, and to discuss the content and update of the UN Guide to Producing Statistics on Time Use: Measuring Paid and Unpaid Work. The United Nations Statistics Division (UNSD) is organizing an Expert Group Meeting on the revision of the International Classification of Activities for Time Use Statistics (ICATUS), to be held at the United Nations Headquarters, New York, on 28-30 June 2016. ICATUS is a classification of all the activities a person may spend time on during the 24 hours of a day. Its purpose is to serve as a standard framework for time-use statistics based on activities grouped in a meaningful way and relevant to both developing and developed countries. ICATUS was first published as a “trial” classification in 2005 and built on national and regional classifications existing at the time. The revision of the classification started in 2012 with the organization of an Expert Group Meeting by UNSD. Since then, new standards, including the framework for work statistics as adopted at the 19th International Conference of Labour Statisticians in 2013, have been incorporated into a revised version of the classification. UNSD has undertaken an electronic consultation since February 2016 to receive comments from national and international experts on the current version of the classification that will be discussed and finalized at the Expert Group Meeting. The United Nations Statistics Division (UNSD), in collaboration with the United Nations Economic and Social Commission for Western Asia (UNESCWA) and the Jordan Department of Statistics, is organizing a workshop on Integrating a Gender Perspective in the Production of statistics, in Amman, Jordan, from 1 to 4 December 2014. The workshop aims to train national statisticians on: (1) producing gender statistics from available data sources; (2) using data from population censuses for gender analysis; and (3) ways to produce, disseminate and communicate gender statistics to properly inform policies. The workshop will also foster exchange of national experiences among participating countries. The United Nations Statistics Division (UNSD), in collaboration with the Secretariat of the Pacific Community (SPC), is organizing a workshop on Gender Statistics for countries from the Pacific region. The workshop will take place in Nadi, Fiji, from 4 to 6 August 2014. This is one of a series of workshops conducted by UNSD, under the Global Gender Statistics Programme, to provide training and assistance to strengthen the capacity of countries to produce and disseminate gender statistics and to use gender statistics for policymaking. These workshops focus primarily on Integrating a Gender Perspective into Statistics, Time Use Statistics and Statistics on Violence against Women. The workshops aim to promote and train national statisticians on agreed international standards, share best practices and ensure collaboration and networking among gender statisticians and other relevant stakeholders, for the production, dissemination and communication of gender statistics that are policy relevant, internationally comparable and technically sound. The workshop for the Pacific region will assist national statisticians with translating international guidelines into practice at the national level, taking into account the specific contexts of countries in the region. An international seminar on gender statistics, hosted by Statistics Korea will be held from 12 to 14 November 2013 in Incheon, Republic of Korea. The seminar is organized by the UN Statistics Division (UNSD) and Statistics Korea (KOSTAT). The meeting will discuss (1) the integration of gender into national statistics, (2) women’s discontinuity at work, (3) time use statistics, and (4) measuring violence against women. The United Nations Statistics Division (UNSD) and the Statistical Institute for Asia and the Pacific (SIAP) are organizing jointly a capacity building workshop on gender statistics, in cooperation with the Ministry of Internal Affairs and Communications, Government of Japan. This regional workshop will take place in Chiba, Japan from 16 to 19 April 2013. The purpose of the workshop is to train national statisticians on the production and use of gender statistics, as well as discuss the newly developed UN manual: Manual for Integrating a Gender Perspective into Statistics. The United Nations Statistics Division (UNSD), in collaboration with the Uganda Bureau of Statistics (UBOS), is organizing a capacity building workshop for sub-Saharan African countries on Integrating a Gender Perspective into Statistics. The workshop will take place in Kampala, Uganda from 4 to 7 December 2012. The purpose of the workshop is to present the newly developed Manual for Integrating a Gender Perspective into Statisticsand train national statisticians on the production and use of gender statistics. Following a request by the Statistical Commission at its 28th session in 1995, UNSD convened a first expert group meeting in 1997 to prepare a draft classification of activities for time-use statistics. Then, based on the experience of countries that used or adapted this classification as well as on recommendations from a second expert group meeting organized in 2000, a revised and more elaborated version was issued and published in Guide to Producing Statistics on Time Use: Measuring Paid and Unpaid Work (United Nations, 2005) as the UN Trial International Classification of Activities for Time-Use Statistics (ICATUS). After a lapse of years while several countries adapted ICATUS for application in their data collection, tabulation and analysis, UNSD is organizing an Expert Group Meeting on the revision and finalization of ICATUS. The meeting will bring together around 20 national and international experts to discuss and agree on several topics including: (1) the updates of the current categories (2) the consistency of ICATUS with the new international standards classification; (3) the treatment of more complex aspects (categories such as “looking for work” or “waiting”); (4) the mapping (correspondence tables) between ICATUS and other existing classifications. The final agreed classification will be presented to the UN Statistical Commission for endorsement in 2013, after been reviewed by the Expert Group on International Economic and Social Classifications. The Workshop objective is to review methods and practices in collecting, processing and disseminating time-use statistics at the regional and international levels, with a main focus on the design and classification issues pertinent to the measurement of paid and unpaid work. The main objective of the time use survey is to provide sound statistics on the reality of women and men in Palestine. In particular, TUS provides statistics on the following areas: 1. All activities practiced by the Palestinians. 2. The average time spent in carrying out different activities by the individuals. 3. The percentage of individuals carrying out specific activities. 4. The social environment in which the activity is practiced. 5. The time spent by women in carrying out household activities and productive activities whether paid or unpaid activities. 6. Provide data on the time spent in different activities such as watching television, attending religious ceremonies and participation in sports activities. 7. The time spent in movement. 8. Other related issues. A presentation on the EUROSTAT Pilot Survey on Time Use identified problems related to the specification of activities, but noted that the general survey design proved successful. The presentation on the time-use study in Italy also identified problems with the specification of activities and concluded that improvements in survey methods rather than the classification system were required to improve the amount of information specified in time-use diaries. With respect to objectives and uses of time-use surveys, the priority uses of and interests in time-use data were discussed by each participant for their country. The most common objectives identified by both developed and developing countries, related to issues of gender and work, specifically the division of labour in the home and improvement in the measurement of women’s unpaid work. A related objective concerned the use of time-use statistics in the preparation of household satellite accounts. Another common objective concerned changes in allocation of time across broad categories of activity. Plans to undertake national time-use studies in three developing countries -- India, the Philippines and South Africa -- were described. Among the objectives for these surveys are to quantify women’s contribution to economic activities, to measure the extent of child labour, and to understand the relationship between welfare and poverty. The participant from India also included among the objectives the need for information on livelihood strategies and on when people are free of work as a basis for planning skills formation, training and other poverty alleviation programmes.